Fullriver Deep Cycle batteries are the best value on the market today. Fullriver engineers met their goal of designing a Deep Cycle VRLA battery with the highest possible reserve capacity, longest cycle life and low internal resistance, while achieving superior cranking performance. The Fullriver DC Series batteries are the smart choice for demanding recreational and industrial deep discharge applications. Deep Cycle batteries are designed to be deeply discharged and recharged hundreds of times. They are designed and built differently than automotive starting batteries. They use more lead, heavier plates and other proprietary materials that enable them to deliver more power and capacity over many life cycles. 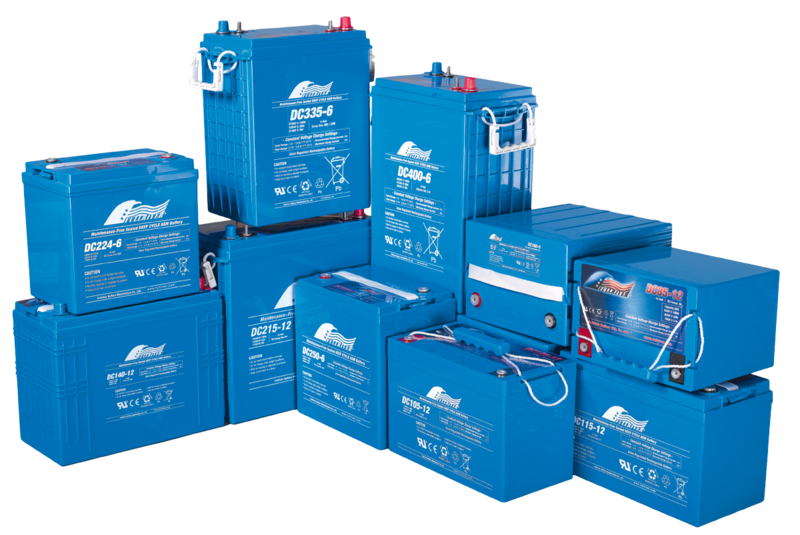 Deep Cycle batteries are used in many applications including; Boats, RVs, Solar and Wind power, Electric Vehicles, Electric Golf Cars, Floor Cleaning machines, Aerial Work Platforms and many more. Our DC Series batteries provide the performance and life of a true deep cycle battery with all the convenience and benefits of being maintenance free & non-hazardous.